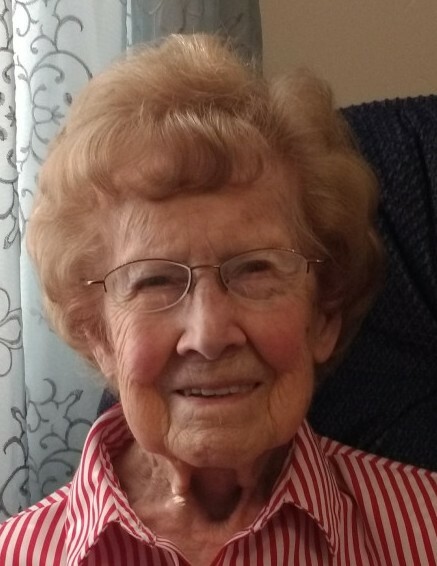 Donna Rose Atkinson Coburn, 96, passed away peacefully on the evening of September 4, 2018, with family holding her sweet hands. She was the last leaf on the tree as she outlived all of her 11 siblings and their spouses. We always told her “last is the best of all the game”. Our mother was born on February 26, 1922, to Charlotte Henretta Dawson and Henry Clipson Atkinson. She was the tenth of twelve children. Mom grew up in a loving home in Treasureton, Idaho, on the ranch her parents homesteaded. She enjoyed roaming the hills while herding the sheep to pasture. She attended school in the little two room school house where she rode in a bobsled to school in the winter. She attended high school in Franklin and graduated as Valedictorian of her class. She married Merlin J. Coburn in 1940 and they have 7 children. Mom loved being a homemaker and raising her children although she worked outside the home when she needed to. She loved to make quilts and donated several to the humanitarian projects of the church. Mom loved gardening and we all benefitted from her green thumb. She had a talent for writing beautiful poetry and making the simplest foods taste wonderful. Mom lived a life of humble service. She served her neighbors, ward members, friends, community, and family. We will miss her cozy home, warm rolls, garden veggies, pan cooked popcorn, beautiful flowers, and delicious treats. Mom is a devoted member of the Church of Jesus Christ of Latter Day Saints. 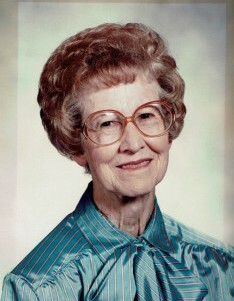 She served in many callings with one of her favorites being as YW Advisor at the age of 88. 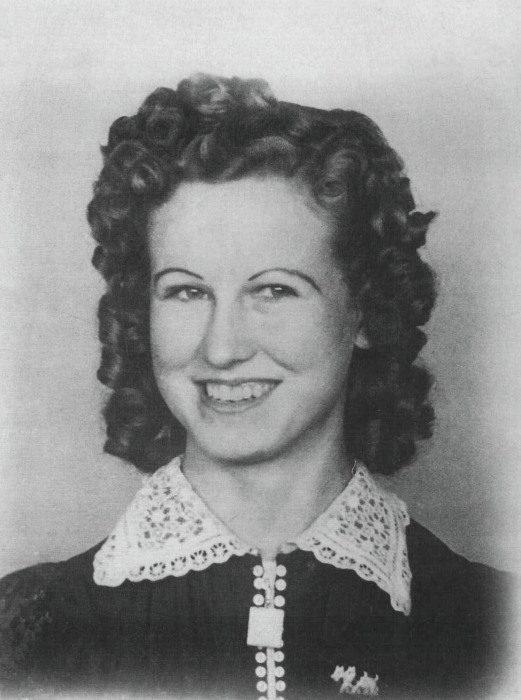 She served four missions for the church and loved serving in the Logan Utah Temple for several years. She has a strong and fervent testimony of the gospel of Jesus Christ that she lived every day. Our mom is truly an angel who touched many lives for good. She has a gracious and giving heart. You could rarely leave her home without something delicious in your hand. We will miss you mom! Your example of strength, courage, perseverance and faith will bless our lives forever. Your life is a treasured legacy that will guide us through the days ahead until we meet again. Our mother is survived by her children, Kandis (Lloyd) Beutler, Klayne (Laurie) Coburn, Charlotte (Dennis) Chatterton, Jeanie (Kim) Crockett, Bruce (Beth) Coburn, Sandy (Eric) Collins, Quinn (Denna) Coburn, 25 grandchildren, 69 great-grandchildren, 12 great-great grandchildren, and several nieces, nephews and extended family. She was preceded in death by her husband, her parents and siblings, a grandson, and a great grandson. Funeral services will be held on Saturday, September 8, 2018, at 12 noon in the Dayton Ward Church Building, 825 North Westside Hwy, Dayton, ID. A viewing will be held Saturday from 10:00-11:30 also at the church. Interment will be in the Dayton City Cemetery. Memories and condolences may be shared with the family at webbmortuary.com. Our family would like to thank all those at Sunrise Park Assisted Living, especially Sabrina, Vicky, and Lauren, Access Hospice, Bonnie, Kaly, Dr. Firth and Brent for the loving care they gave our sweet mother over the last several months. We would also like to thank her amazing ward family and friends for making her life rich and wonderful. In lieu of flowers please consider making a donation to the Humanitarian fund for the Church of Jesus Christ of Latter Day Saints in her honor.